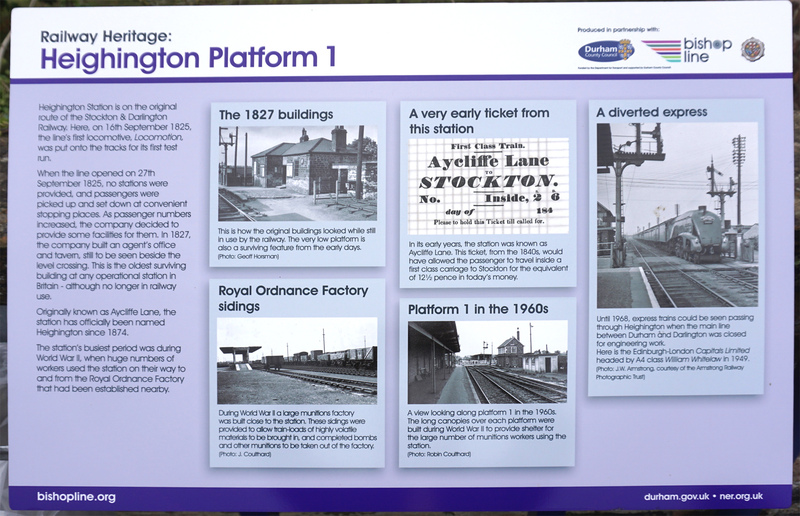 Heighington station is a historic railway spot where the Stockton & Darlington Railway crossed Aycliffe Lane. 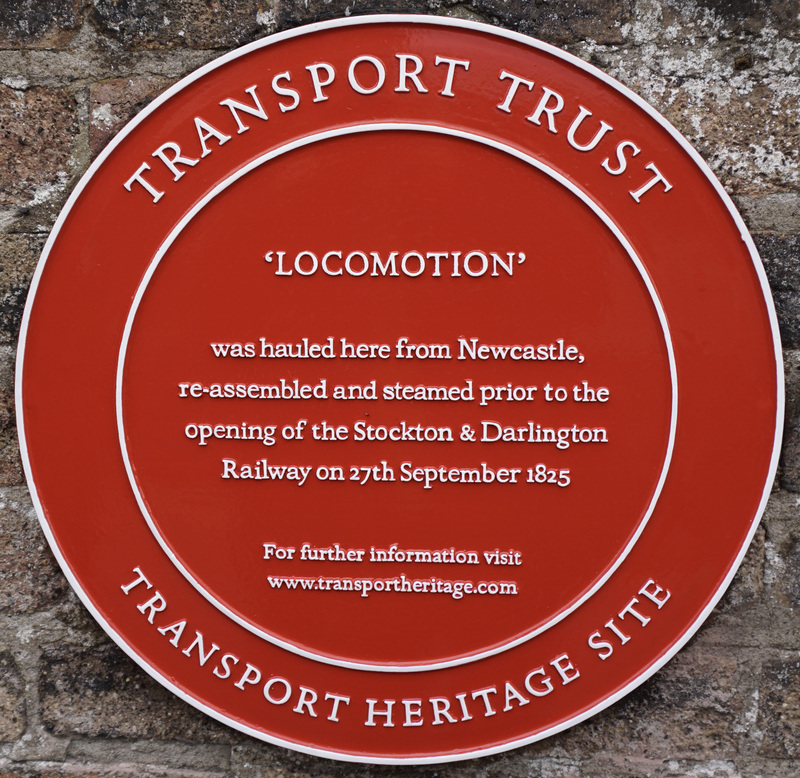 It was at this spot on September 16, 1825, that Locomotion No 1 arrived on three horsedrawn wagons from Robert Stephenson’s works in Newcastle where it had been made. Robert’s father, George, then assembled it on the line and got it going. It was here, on July 1, 1828, that Locomotion No 1 exploded while taking on water, killing its driver, John Cree, and maiming its fireman, Edward Turnbull. Its bits were collected from the fields around and it was patched back together. 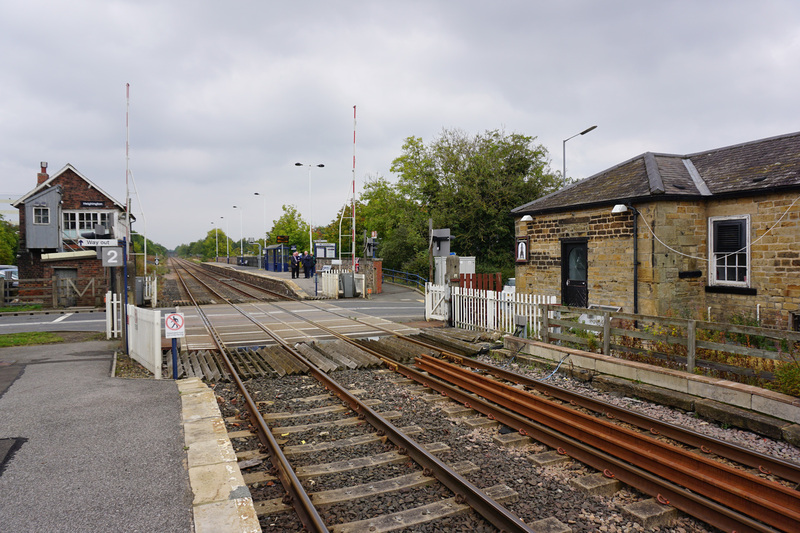 The Locomotion public house at Heighington station (which is actually in Newton Aycliffe) was one of the first lineside buildings, built in 1826 by John Carter – the platform, which still abuts the line, is said to be the oldest railway platform in the world! 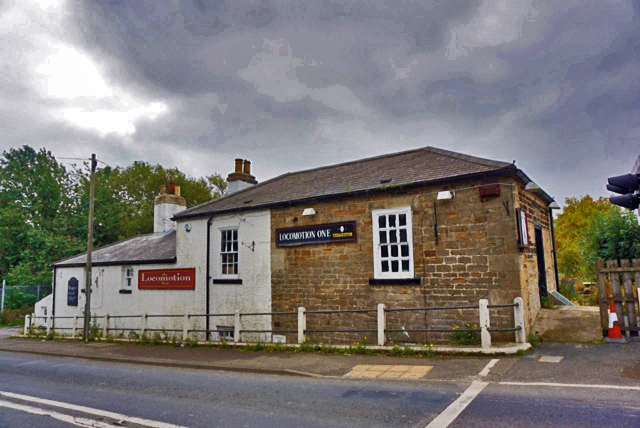 Carter, born in Heighington in 1787, built the world’s other first railway themed pubs for the S&DR: The Railway Taverns in Darlington and Stockton. Plus, he built the St John’s Crossing weigh-house at Stockton, which now stands rather forlornly beside four lanes of road traffic on 1825 Way. Carter also built the wing walls that saved the Skerne Bridge further down the line from collapse (Skerne Bridge also has a Red Wheel). 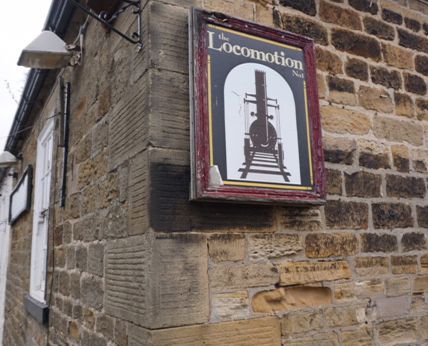 Locomotion No 1 though, get a licence to operate as a pub until 1829, and then the unfortunate publican – Matthew Turnbull, in the early days – was expected to sell train tickets, receive parcels, oversee coal sales while also serving beer and food to passengers. 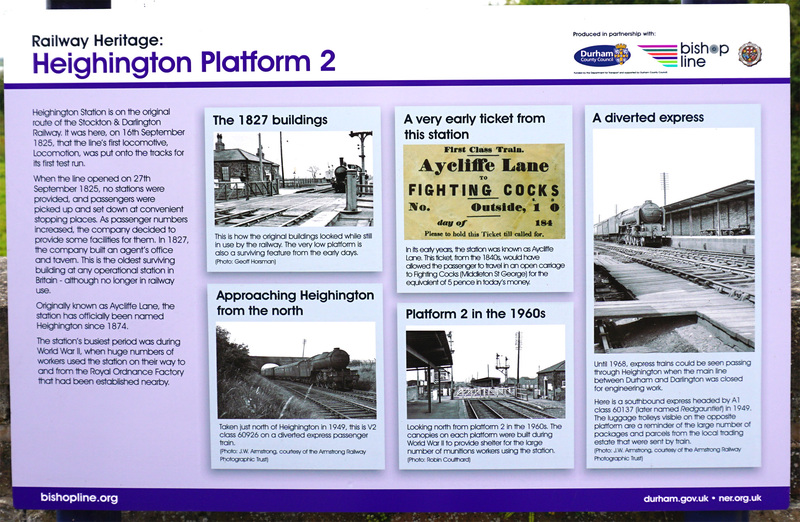 But because the station was in the middle of nowhere – it must be half-a-mile from Heighington – it didn’t work as a pub. 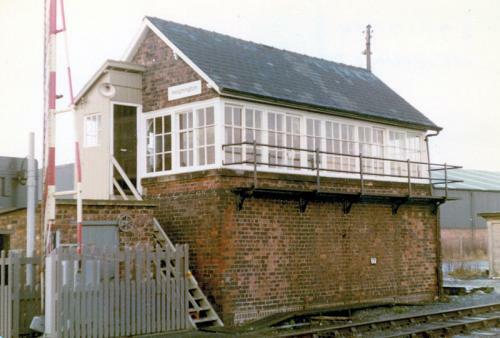 It closed in 1848 and just operated as a station and stationmaster’s house. 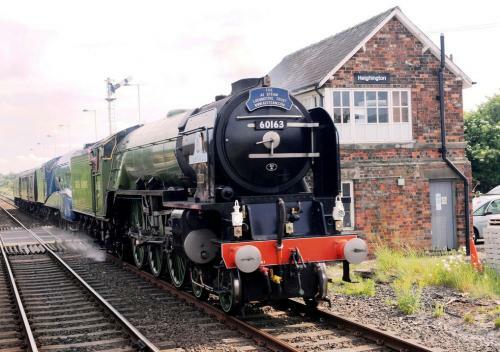 It only came into its own during the Second World War, when 20 trains a day stopped there to offload thousands of workers for the Aycliffe munitions factory. 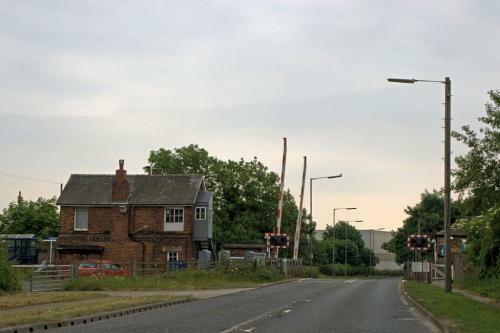 In 1982, as the station became a halt, it was converted back into a pub, which has had an extremely chequered career – it last graced the pages of The Northern Echo in July when the landlady announced she was quitting after thieves had ransacked her bar. 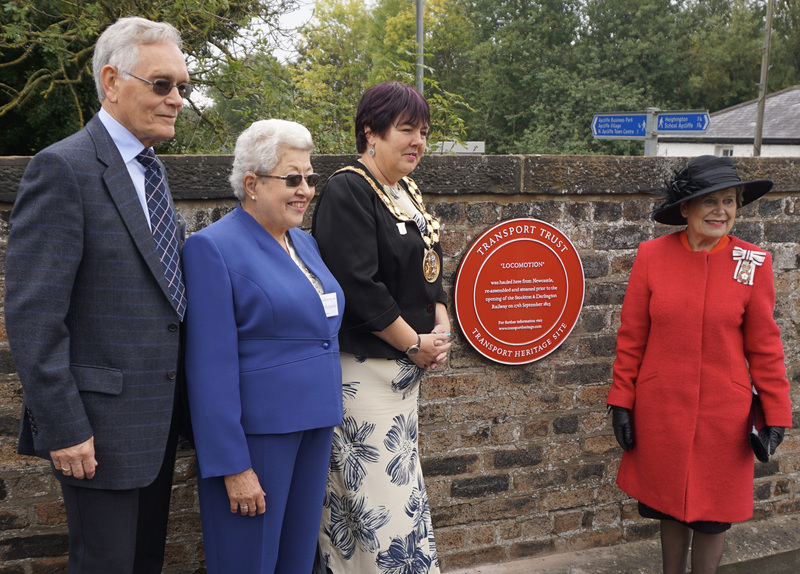 However, its ground-breaking history is now recognised with a Transport Trust Red Wheel, and let’s hope that this early piece of railwayana – which is at the rear of the new Hitachi train-building factory – can find a prosperous future. This article kindly provided by Chris Lloyd, Features Editor and Deputy Editor of the Northern Echo, is an expert on local history in the Darlington area.